The best selling GRAMMY® Nominees album series contains the biggest hits each year and the 2011 GRAMMY® Nominees release is no exception. On December 1st, 2010, this year’s GRAMMY® nominations were announced on a live TV broadcast and the 53rd Annual GRAMMY® Awards will air live on February 13th. 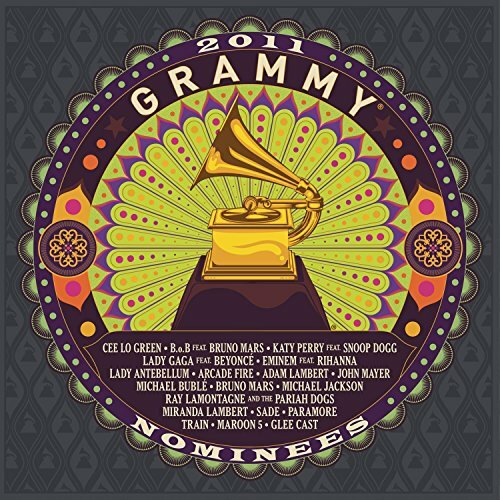 This collection features the biggest hits from this year’s nominated artists. A portion of the proceeds of the CD benefit MusiCares® Foundation and the GRAMMY® Foundation, two charitable organizations established by The Recording Academy.